Just this year, a new Federal Housing Administration reverse mortgage program can help retired homeowners relocate or downsize to a new home without paying closing costs twice or giving up all their savings, even while they’re still in their existing property. For the past several years, reverse mortgages have become an invaluable tool for seniors with limited income to be able to stay in their homes by turning their equity into cash to cover basic monthly living expenses or even healthcare. But now homeowners can get reverse mortgages to downsize or buy a new home, allowing them to bypass the need to ever have a forward mortgage, according to NewRetirement.com. 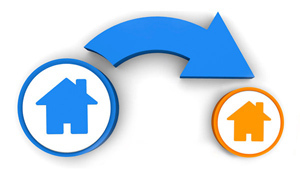 This type of reverse mortgage, called Home Equity Conversion Mortgage (HECM), is new legislation enacted by the US Federal Housing Administration to allow seniors to get reverse mortgages on properties they haven’t purchased yet. The FHA created the HEMC program because seniors were selling their homes, downsizing to smaller ones, then taking reverse mortgages on the new homes, paying closing costs twice – on the new real estate purchase and then when they switched to a reverse mortgage. The U.S. Department of Housing and Urban Development explains that the program is designed to allow seniors to purchase a new principal residence and obtain a reverse mortgage within a single transaction, and is also designed to enable senior homeowners to relocate to other geographical areas to be closer to family members or downsize to homes that meet their physical needs. If you have a sufficient down payment, you can buy your new home without monthly payments. With the HECM for Purchase program, instead of getting the reverse mortgage on your existing home, you inform your reverse mortgage lender that you want to purchase a new home using the reverse mortgage. 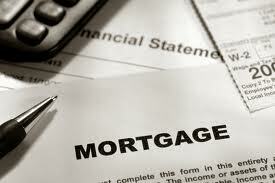 Your lender will calculate the amount of loan you qualify for as if you already owned the property. Not everyone qualifies for a Home Equity Conversion Mortgage (HECM) for Purchase transaction, so work with a reverse mortgage counselor or financial advisor to see if the HECM will work for you. 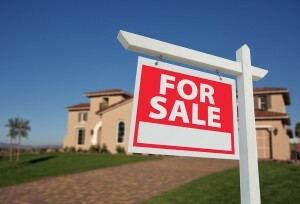 Wow, the triangle-area is making news on the real estate front! Nerdwallet.com, a personal finance company that builds data-driven tools and crunches numbers to help consumers make good money decisions, recently named 6 triangle-area towns as best places to own a home in North Carolina. So if you’ve been looking to downsize and you own a home in Holly Springs, Fuquay-Varina, Wake Forest, Clayton, Apex and Morrisville, now may be a good time. What makes the Triangle Area a Great Place To Live? Home prices and home size, along with new construction permits, decreasing inventory levels, and a plunging unemployment rate, are making the Triangle-area a superb place to live. Nerdwallet looked at the 59 cities in North Carolina with populations greater than 15,000 to find out which offer the best value for potential buyers. Their analysis answered three main questions: Are homes available? Can people afford to live there? Is the area growing? The answers, yes, yes and yes, put 6 of our towns in the spotlight, with Holly Springs receiving the top-rated #1 honor. . Cost of living, crime rate, education opportunities, median household income, home value, and amenities abound in the Triangle-area also make North Carolina a top city to live in. With this welcomed housing market news, for retirees thinking about selling that overly-spacious home for a smaller dwelling, now could be the time to list and start padding that nest egg. You can check out Nerdwallet’s entire methodology and findings here. 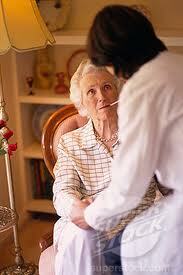 Caregiving Under Pressure: How Do Your Coping Skills Measure Up in a Crisis? The best approach to a crisis is being prepared before one ever happens. As a caregiver for your elderly loved one, it’s essential to have a plan of action, especially if you don’t deal well under pressure. To thrive in a crisis means you have to react based on what’s happening at the moment, rationally, without emotion. Take a few minutes to fill in this Caregiver Crisis Preparedness Worksheet created by Viki Kind, author of The Caregiver’s Path to Compassionate Decision Making: Making Choices For Those Who Can’t, and see if your coping skills are up for the next challenge. 1. Think of a time when you handled a difficult situation really well. What did you do that made it easier? Better? More manageable? 2. Now, think of a time when you panicked, mishandled a situation, or when you didn’t make the right decision. What got in the way of thinking clearly enough to cope with what was happing? 3. What can I do to calm myself down so I can think more clearly? Get ahead of the game by gathering everything you need before a crisis happens. •	Power of attorney, living will, trusts, access to safe deposit boxes, birth and marriage certificates, military records, drivers license, social security number, cemetery plot information and address book. •	Medical history, doctors’ addresses and phone numbers, prescription information, advanced health directives, Medicare and Medicaid information. •	Life insurance policy, automobile titles and insurance policies, long term care insurance policy, mortgage information and home owner’s insurance. •	Monthly bills, bank account information and other records of financial accounts. •	A change of clothes, including night clothes. 3. Contacts and Calls. Should a crisis occur, have a list of contacts and stand-bys to help you out. •	If you have children, have a designated person set up who can watch them at a moment’s notice. •	Call your spouse and siblings. Alert your loved one’s friends and neighbors if necessary to look after their house, pets, etc. So, when the next crisis happens.